2 bed, 2 bath, ocean side villa, Gold season. Great Opportunity for a RARE week 51. 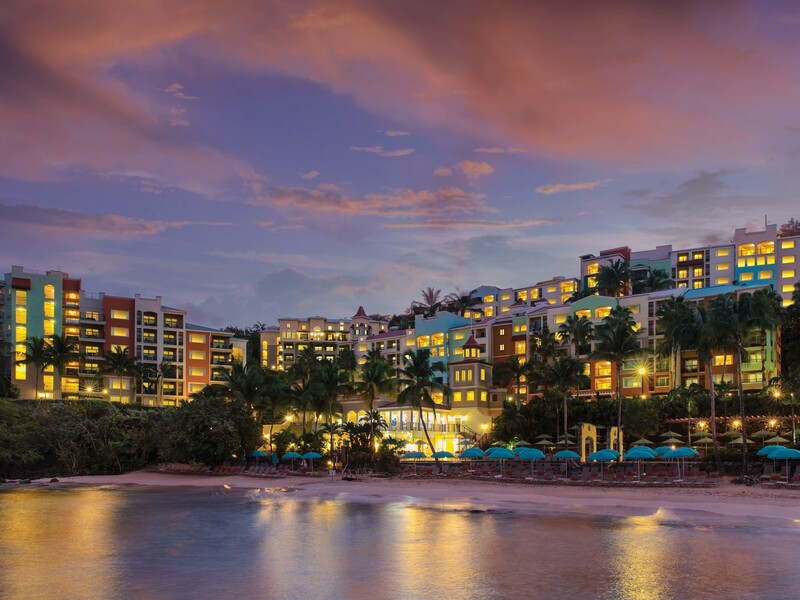 Located in St. Thomas in the gorgeous U.S. Virgin Islands, the fractional ownerships at Marriott’s Frenchman’s Cove is one of the most exclusive timeshare properties in this vacation wonderland. If you and your family have been searching for a timeshare resale in an area of unsurpassed beauty and abundant natural scenery, then you should look no further. From the most top of the line amenities to unbeatable local attractions, buying a Marriott’s Frenchman’s Cove timeshare resale is one of the wisest investments that you can make in terms of leisure. Learn more about the features of this incredible place by reading more below. When you take advantage of Marriott’s Frenchman’s Cove fractional ownership arrangements, you are free to enjoy its many great amenities and selling points. The timeshare resales offered here are actually villas, proving ample room for up to eight guests at a time. Smaller groups will enjoy being able to spread out and enjoy the extra space afforded by this arrangement. Indeed, the villas at Marriott’s Frenchman’s Cove contain two rooms, making them large enough to accommodate entire families with ease. Unlike having to cram into a couple of small hotel rooms, taking advantage of Marriott’s Frenchman’s Cove timeshare deals will allow you to have a home away from home - in paradise. Space is just one of the great selling points of the villas available at this exclusive St. Thomas location. Within the resort itself, guests can enjoy the beachfront, infinity edge pool whenever they please. This is especially good for guests who are not fans of swimming in the ocean. After all, using this luxurious pool still allows one to soak up all of the sun that they can. Simply being surrounded by the unbeatable atmosphere of Marriott’s Frenchman’s Cove timeshare villas will make this investment well worth it for you and your family. People who decide to buy Marriott’s Frenchman’s Cove timeshares for sale put themselves in a very convenient location for enjoying the many great attractions of St. Thomas and this entire region of the U.S. Virgin Islands. The nearby town of Charlotte Amalie is a great place to spend a lot of time during your stays here. This town is incredibly quaint, yet provides many great little shops and boutiques for vacationers' enjoyment. Also, plenty of restaurants are located in Charlotte Amalie, so that owner’s at Marriott’s Frenchman’s Cove can enjoy an evening out, including fine dining and several great nightlife spots. No description of St. Thomas and its surroundings would be complete, though, without mention of the spectacular beaches in this region of the world. Indeed, the biggest selling point of Marriott’s Frenchman’s Cove timeshare resales has to be the great beach going opportunities. With mile upon mile of pristine, sandy beaches and an endless, crystal clear ocean stretching to the horizon, people surely do feel as if they have stepped into paradise when coming here. Imagine being able to step out of your timeshare and walk directly down to such amazing surroundings; by buying a Marriott’s Frenchman’s Cove timshare resale, you can make that dream - and so much more - a reality. With all of the amenities located within the villas and all of the unbeatable local attractions, there are so many compelling reasons for buying a Marriott’s Frenchman’s Cove timeshare resale. People from all around the world select this region as their vacation getaway, and upon coming here, you will quickly understand why that is true. You can do a little bit of research and pay a visit to these properties in order to find out in person what all of the fuss is about. When you buy a Marriott’s Frenchman’s Cove timeshare resale, you and your family will always have a great place to escape to when the weather at home gets cold. You will be able to afford many for trips when you have a timeshare and the convenience of having a timeshare here will make it far likelier for you to take the time to pamper yourself. Get started today, and in no time at all you can enjoy the easy life with your own Marriott’s Frenchman’s Cove. If you’re thinking that you're ready to sell your Marriott's Frenchman’s Cove timeshare then look no further. Simply contact the experienced agents at Premier Timeshare Resale to begin the process of selling or buying a Marriott Frenchman’s Cove timeshare. We never charge upfront fees.